Bulgaria's conservative party has started collecting signatures for a petition to hold a nationwide referendum on withdrawing from NATO. Ekaterina Blinova — Bulgarian conservative Ataka (Attack) party has organized a petition seeking a nationwide referendum on Bulgaria's withdrawing from NATO, said Volen Siderov, the chairman of the party, during his official visit to Crimea. It is worth mentioning that earlier this month, on February 5, NATO Defense Ministers revealed their plans of expanding the Alliance's military forces in Europe and approved the decision to establish six command and control units in Bulgaria, Estonia, Latvia, Lithuania, Poland and Romania. "If a crisis arises, they will ensure that national and NATO forces from across the Alliance are able to act as one from the start. They will make rapid deployment easier. Support planning for collective defense. And help coordinate training and exercises," NATO Secretary General Jens Stoltenberg said in an official statement. Later, Bulgaria's Defense Minister Nikolai Nenchev announced that 13-14 NATO tanks would arrive in the country in the forthcoming months in order to take part in 77 joint military drills planned to be held this year. Nenchev also elaborated that the new NATO command and control unit in Bulgaria would open in Sofia, comprising of 40 servicemen, according to Bulgaria's media sources. Blasting the decision of Bulgaria's authorities, Siderov insists that his country should withdraw from the Alliance and declare neutrality. He told journalists that Ataka had already launched a campaign against the latest NATO's initiative. Siderov's party is seeking a mandate to hold a nationwide referendum on Bulgaria withdrawing from NATO. Siderov explained that Ataka should collect either 60 signatures of Bulgarian parliamentarians or 300 thousand signatures of civilians for the petition in order to launch the initiative. The politician plans to team up with the Bulgarian Socialist Party and one other faction sharing the stance. In would be enough to start the process if the three fractions signed the petition, he said. According to Siderov, NATO's presence in Bulgaria is unacceptable. "Bulgaria has been turned into a frontline. 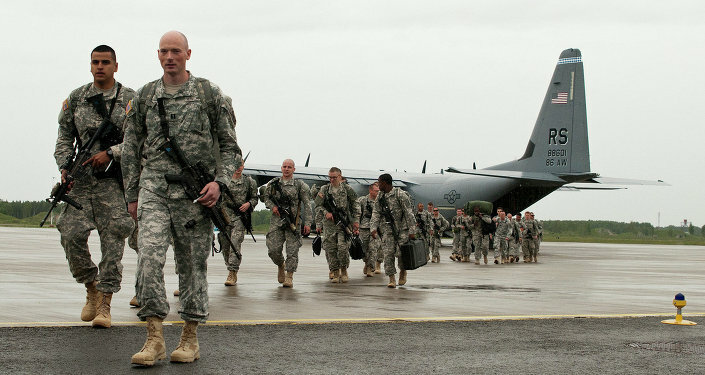 Almost four American military bases have been operating here since 2006, absolutely rent-free, and now they are intended to deploy a command and control unit in Bulgaria," he stressed. Siderov has become the first Bulgaria's parliamentary to visit Crimea after the region rejoined the Russian Federation. Ataka is a right-wing conservative political party founded in 2005 in Sofia. The party supports further development of Russo-Bulgarian relations and Bulgaria's non-aligned status.